Administrative Law Judge (ALJ), Elizabeth Feyzbakhsh, Office of Administrative Hearings (OAH), Special Education Division, heard this matter on December 18, 19, 20, 21, 2006, and January 11, 12, 16, 17, 18 and 26, 2007, in Hemet, California, and Laguna Hills, California. Jillian Bonnington, advocate, appeared on behalf of Student. Student’s grandmother and grandfather were present throughout most of the hearing. Tim Runner was present for portions of the hearing. Student was not present. Attorney Jack B. Clarke Jr., attorney, appeared on behalf of Hemet Unified School District (District). Attorney Arianna Whitaker was present for portions of the hearing. Gary Goldamer, Director of the Special Education Department, was present throughout most of the hearing. Diane Radican, Mental Health Services Supervisor (MHSS), represented Riverside County Mental Health (RCMH). Diane Coenan, MHSS at RCMH was also present throughout the hearing. Oral and documentary evidence were received during the hearing. Upon request of the parties, written closing arguments were submitted and the record was closed on February 13, 2007. 1. Did the District timely conduct Student’s triennial assessment? 2. Did the District fail to assess Student in the area of emotional disturbance? 3. Has the District, to date, made the requested referral for a neuropsychological assessment and has the assessment been completed and an individualized education plan (IEP) team meeting held? 4. Did the District timely complete an assessment through the Los Angeles Diagnostic Center? 5. Did the District timely complete a functional behavior analysis (FBA) as requested by Student? 6. Did the District timely conduct an assessment with a district autism specialist as requested by Student? 7. Did the District timely conduct the speech and language (SL) assessment? 8. Did the District timely conduct an occupational therapy (OT) assessment requested by Student, and was it conducted appropriately and consistent with test procedures? 9. Did the District timely conduct an auditory processing assessment as requested by Student? 10. Did the District unnecessarily delay a referral to RCMH? B. failing to convene an IEP team meeting to address Student’s lack of educational benefit when Student failed to make progress on her goals and objectives? C. failing to have the proper parties in attendance at the IEP team meeting of May 3, 2005? D. failing to conduct proper assessments before reducing the services for Student and initiating a change in placement to a more restrictive setting without IEP team input? E. failing to provide a copy of Student’s records, requested on July 6, 2005, within the appropriate timeframe? F. failing to respond to a request from the parent for an “increased day”? G. conducting a meeting on November 2, 2005, without the parents present? A. Failing to offer an appropriate placement for Student (the placement being 3 ½ hours per day at VIP Tots)? B. Failing to offer instruction and services to meet Student’s unique needs? Issue 3: Did RCMH notify the District and parents within one day of making its decision regarding Student and has RCMH contacted the parents to inform them of its decision regarding Student as of the first day of hearing in this matter? Issue 4: Did the District offer Student a FAPE for the 2006-2007 school year, in its September 7, 2006 IEP? Student contends that the District failed to properly assess Student, failed to provide a FAPE for the 2004-2005 and 2005-2006 school years, and that RCMH failed to notify Student of its decision that Student was not eligible for services. Student further contends that due to the failures of both the District and RCMH Student has regressed and, due to her maladaptive behaviors, Student is unable to access her education unless she is placed in a residential facility where there is consistency across environments. For these failures, Student contends that the District and RCMH should provide reimbursement for procurement of outside services, that the District and RCMH be ordered to locate and fund an appropriate residential treatment facility, including transportation and familial visits, that the District be ordered to fund independent assessments by an audiologist, and an autism specialist, that the District provide compensatory services in the areas of OT, audiology, mental health and speech and language, and provide sensory integration therapy in a clinic setting for at least six months, and that the District pay in full, its outstanding invoice from Dr. Lang in order that parent is not left with the responsibility for payment of the HUSD contracted assessment. The District contends that it appropriately assessed Student, and that any procedural violations for the 2004-2005 and 2005-2006 school years did not result in a denial of a FAPE for Student. Additionally, the District contends that Student was properly placed and provided appropriate services in the 2004-2005 and 2005-2006 school years. District contends that residential placement is not the least restrictive environment in which Student’s unique needs may be met. The District contends that it offered such a program in its offer for the 2006-2007 school year. RCMH contends that it properly notified Student that she was found ineligible for mental health services pursuant to AB 2726. RCMH contends that Student would not benefit from the services provided by RCMH because of her delay in language skills. Student filed a request for due process hearing on March 27, 2006. The Student’s request for due process hearing contains claims pertaining to the 2004-2005 and 2005-2006 school years. On December 12, 2006, the District filed a due process hearing request. The District’s request for due process hearing pertains only to the offer of FAPE for the 2006-2007 school year. Prior to the first day of hearing, the District filed a motion for consolidation of the cases. On the first day of hearing, the Administrative Law Judge consolidated the cases. 1. Student is a seven-year-old girl who qualifies for special education services based on a diagnosis of autism. Student’s eligibility under the category of autistic-like behaviors is not disputed. Student’s mother and maternal grandparents reside within the geographical boundaries of the Hemet Unified School District. As of the first day of hearing, Student lived with her mother and grandparents. 2. Student had medical difficulties at birth. She weighed 10 pounds, 13 ounces, and had difficulty breathing. Student began walking and began forming words at the age of 14 months. However, at the age of 15 months, Student was abducted by her father and taken to Israel without her mother’s consent. Student was located with the assistance of the Federal Bureau of Investigation and returned to the family at the age of 22 months. When she returned from Israel Student was no longer forming words that resembled English. It seemed as if Student had created her own language. 3. Student was diagnosed with autism at the age of two and had an in-home behavioral program for a year and one-half. Student’s mother and grandparents have received some training in applied behavioral analysis (ABA) therapy and Picture Exchange Communication System (PECS). Both treatment methods are commonly used with autistic children. At the time of the early intervention, Student’s grandparents felt as if the behavior modification techniques utilized were ineffective. 4. Currently, Student has virtually no ability to function in the community with her family. Student elopes, crawls beneath automobiles, and has no awareness of environmental dangers such as crossing the street. 5. Student has a history of violence and aggression. She has harmed animals on many occasions. She has caused injury to family members such as biting her great-grandmother to the point that her great-grandmother required stitches, and throwing rocks at her great-grandmother causing a fractured ankle. Student’s violent and aggressive behaviors have increased with her age. 6. Student has had multiple psychiatric hospitalizations beginning in September 2005. Student was hospitalized due to her disruptive, aggressive, and violent behavior at home and in the community. The hospitalizations have lasted between three and 30 days. Student has had multiple diagnoses related to these hospitalizations including Bi-polar disorder and Attention Deficit Hyperactivity Disorder (ADHD). No hospitalizations have arisen from her behavior at school. 7. As of the first day of hearing, Student was attending a non-public preschool class at VIP Tots. Student has attended VIP Tots for the last three years. Student’s psychiatric hospitalizations resulted in Student missing 86 days of school. 8. In 2006, Inland Regional Center (IRC) determined that, pursuant to Welfare and Institutions Code section 4685, subsection (c)(2), Student requires an out-of-home placement. IRC had difficulty finding an appropriate residential placement for Student. 9. During the time this case was in hearing, Student was placed in a crisis home by IRC. This placement was for 90 days but could be extended or shortened depending on the effectiveness and appropriateness of the placement. This was not an educational placement. Procedural Violations of FAPE During the 2004-2005 and 2005-2006 School Years. 10. Student claims that the District failed to provide FAPE on several procedural grounds. Student claims that during the 2004-2005 school year, the District failed to appropriately assess Student, failed to convene an IEP team meeting to address Student’s lack of educational benefit, failed to have appropriate parties in attendance at the May 3, 2005 IEP team meeting, improperly reduced Student’s services, and initiated a change in services without holding an IEP team meeting. 11. School districts have an obligation to provide a FAPE to all special education students. School Districts must comply with the procedural requirements set forth in the IDEA. However, not all procedural violations constitute a denial of FAPE. For time periods prior to July 1, 2005, a procedural violation constituted a denial of FAPE only if the violation resulted in a loss of educational opportunity for the child or significantly impeded the parent’s right to participate in the IEP process. Effective July 1, 2005, reflecting the 2004 amendments to the IDEA, a procedural violation constitutes a denial of FAPE only if the violation: (1) impeded the child’s right to a FAPE; (2) significantly impeded the parents’ opportunity to participate in the decision-making process regarding providing a FAPE; or (3) caused a deprivation of educational benefits. 12. Student contends that the District failed to adhere to the timelines for assessments set forth in the IDEA and the California Education Code. According to state law, all written requests for assessment from parents shall initiate the assessment process. If an assessment for the development or revision of the IEP is to be conducted, the parent shall be given an assessment plan within 15 days of the referral for assessment and the District must complete the assessment and hold an IEP team meeting to consider the results of the assessment within 60 days of consent to the assessment plan. 13. Student claims that the triennial assessment was not timely conducted by the District. Before any action is taken with respect to the initial placement of an individual with exceptional needs, an assessment of the pupil’s educational needs shall be conducted. Thereafter, special education students must be reassessed every three years or more frequently if conditions warrant, or if the pupil’s parent or teacher requests a new assessment and that a new IEP be developed. 14. Student’s triennial assessment was due on October 14, 2005. The triennial assessment was conducted by Alex Brazelton on August 7, 2005, and October 7, 2005. The report was signed on October 17, 2005. The report was reviewed at the IEP team meeting on October 24, 2005. Parents were unable to attend this meeting. 15. The triennial assessment was submitted three days late which amounts to a procedural violation of the IDEA. However, this minimal delay did not impede Student’s right to a FAPE, did not significantly impede the parents’ opportunity to participate in the decision-making process regarding providing a FAPE, and did not deprive Student of educational benefits. Thus the delay did not constitute a denial of FAPE. 16. A district is required to assess a student in all areas of suspected disability. Failure to do so is a procedural violation of the Individuals with Disabilities Education Act (IDEA) and corresponding provisions of the California Education Code. Whether or not the District should have conducted an assessment turns on what the District knew at the time. 17. Student contends that the District failed to assess in the area of emotional disturbance (ED). The District is required to refer Student to the county mental health department for evaluation if it suspects that Student is in need of mental health services. A student is entitled to a remedy if the district failed to assess in the area of ED and that procedural violation denied her a FAPE. To provide a legally adequate FAPE, a school district is also required to provide supplementary, or related, services, including mental health services, necessary for the child to access his or her education and to meet his or her unique needs. 18. Student contends that the psychoeducational assessment conducted by Alex Brazelton identified suspected disabilities that should have triggered further assessment. Specifically, Student contends that further assessment was warranted in the area of ED based on Student’s results on the Behavior Assessment System for Children (BASC). 19. The District contends that Student was appropriately assessed in all areas of disability and that the District appropriately determined that Student did not meet the eligibility criteria and did not require related special education services due to a serious emotional disturbance. 20. As stated in Factual Finding 14, Student was referred for a triennial psychoeducational assessment. Alex Brazelton is a credentialed school psychologist employed by Hemet Unified School District. She is authorized to diagnose for educational purposes. Ms. Brazelton issued a written report documenting her assessment and signed the report on October 17, 2005. 21. Ms. Brazelton assessed Student’s behavior on several normed instruments and by way of file review and interviews. Ms. Brazelton compiled an extensive history of Student’s medical, psychological, and educational background and administered the following tests: Brigance K-1 Screen; the test of non-verbal intelligence, third edition; the Beery-Butenica Developmental test of Visual Motor Integration; the Gilliam Autism Rating Scale; the Gilliam Asperger’s Disorder Scale; the Adaptive Behavior Assessment System, second edition; the Child Behavior Checklist, the Scale for Assessing Emotional Disturbance, and the Connors Rating Scale. Additionally, Ms. Brazelton conducted a file review, an observation, and a child interview. She reviewed teacher reports and conducted a parent/guardian interview. 22. Student’s cognitive abilities rated in the average range based on the Test of Non-verbal Intelligence, third edition. However, Ms. Brazelton determined that Student’s autism spectrum-like and maladaptive behaviors, such as short attention span, hyperactivity and aggression, as well as auditory and visual processing disorders, have adversely affected Student’s academic progress and have impacted her ability to progress without special interventions. 23. Student’s behavior was measured on the BASC in the Behavioral Symptom Index within the “clinically significant” range. In addition, her behavior was found to be in the clinically significant range in externalizing problems, internalizing problems, school problems and adaptive skills composite. Results of Student’s behavior on the Child Behavior checklist also measured in the clinically significant range for Oppositional behavior, Hyperactivity, and attention deficit hyperactivity disorder (ADHD). 24. Results from Guilliam’s Autism Rating Scale (GARS) and Guilliam’s Asperger’s Disorder Scale (GADS) administered to Student’s teacher and mother as well as file data, interview data and multiple observations by the examiner, indicated that Student met the Diagnostic and Statistical Manual, fourth edition (DSM IV) criteria for high functioning “autistic-like” spectrum disorder, consistent with her primary special education eligibility category. 25. Student’s adaptive skills as observed and measured on the Adaptive Behavior Assessment System (ABAS-II) were rated by her teacher and her mother in the borderline-to-extremely low range. Student needs constant supervision and guidance because she has a developmental lag in her demonstrated adaptive skills. 26. Ms. Brazelton concluded that Student did not meet the eligibility criteria for severely emotional disturbance based upon the data reviewed in interviews she conducted, and test results. Although Student did not meet the criteria for severe emotional disturbance, there is no dispute that Student displays significant behavioral problems. Ms. Brazelton noted that Student was admitted to Loma Linda medical center for seven days and that during that time Student raged and smeared feces, even with close supervision. Student was prescribed several medications. Ms. Brazelton further noted that since the time of the hospitalization, Student has run away on at least one occasion, has raged on the bus and has begun banging her head against the walls at school. Student is taught one-on-one with an aide sitting directly behind her so that she does not strike out at staff or other students. It was also noted that Student’s mother would not spend time alone with Student out of fear mother would be assaulted. 27. Following the Brazelton evaluation, Student requested an independent psychoeducational assessment. Student specifically requested Dr. Lang for this independent assessment. Dr. Lang is a board certified neuropsychologist. She is self-employed and operates a school for special needs children called Beacon Day School. Dr. Lang was contracted by the school district to conduct an independent psychoeducational assessment of Student. Student called Dr. Jo Ann Lang to testify at the hearing. Dr. Lang testified that she did not conduct a psychoeducational assessment, but rather, what she termed a psychoeducational consultation. She testified that she does not do psychoeducational reports. She conducts neuropsychological consultations. Additionally, despite the fact that she was hired by the District to conduct an “independent” evaluation, she relied only on communications from Student’s grandparents and advocate in order to formulate her “referral question” and conduct her consultation. Dr. Lang made virtually no attempt to contact Student’s teacher or other personnel at Student’s school. She testified that a phone call was made to the school and that she thought the teacher was not available, but she could not remember. She testified that she had no independent opinion regarding whether or not Student was eligible for special educational services due to a severe emotional disturbance under the California Education Code. Dr. Lang further testified that based on an assessment from the University of California at Los Angeles (UCLA), she concurred that Student was eligible for special education services as a student with severe emotional disturbance. 28. Dr. Lang’s did not testify credibly regarding any deficiencies in Ms. Brazelton’s assessment. Dr. Lang’s testimony was given little weight because she did not conduct a psychoeducational assessment. Additionally, she did not appear to be independent. In fact, in her closing argument, Student’s advocate requested that the District be ordered to pay its invoice for the assessment.1 No competent evidence was presented that Ms. Brazelton’s psychoeducational assessment was improperly administered or interpreted. 29. Student was assessed in the area of emotional disturbance. There was no competent evidence indicating that further assessment was necessary. Therefore, Student did not prove that the District failed to assess Student in the area of emotional disturbance. 30. Student claims that Dr. Lang’s evaluation was not timely due to the District’s failure to timely request and contract for the assessment. A parent or guardian has the right to obtain, at public expense, an independent educational assessment by qualified specialists if the parent or guardian disagrees with an assessment obtained by the public education agency. 1 The Office of Administrative Hearings has no jurisdiction to order a District to pay its contractual obligations. 2 The terms neurosychological assessment and psychoeducational assessment and neuropsychological consultation have been used interchangeably during this hearing regarding the assessment conducted by Dr. Lang. 3 The criteria for regional center placements differ from the criteria for educational residential placement. This decision does not address the appropriateness of a residential placement by Inland Regional Center. 4 In this context the term “elope” means to run away or escape. 31. As stated in Factual Finding 29, pursuant to Student’s January 3, 2006 request, Dr. Lang was hired by the District to conduct an independent assessment of Student. After the District agreed to fund the assessment, the District discovered a potential conflict of interest with Dr. Lang. The conflict arose because Student’s advocate was seeking a non-public school placement for Student at a number of schools including Beacon Day School. Beacon Day School is the school that Dr. Lang started. After being notified of the conflict, Student withdrew Beacon Day School as a possible placement option. This potential conflict delayed establishment of the contract between the District and Dr. Lang. 32. There was no evidence that this delay impeded Student’s right to a FAPE, significantly impede the parents opportunity to participate in the decision-making process regarding providing a FAPE, or caused a deprivation of educational benefits to Student. Thus the delay did not constitute a denial of FAPE. 33. Student claims that the District failed to timely complete an agreed-upon assessment by the LA Diagnostic Center. On May 15, 2005, Student requested that the District fund an assessment through the California Department of Education Diagnostic Center, Southern California, also known as LA Diagnostic Center. The District agreed to make such a referral. The Student completed the parent information form in the application for assessment, and that form was received by the District on June 3, 2005. The District wrote a letter to the LA Diagnostic Center requesting assessment on June 30, 2005. 34. An assessment was conducted on November 1 and 2, 2005. An IEP team meeting was conducted on November 2, 2005, to address the results of the assessment. The parents were unable to attend the meeting. 35. The District received a copy of the report issued by LA Diagnostic Center on December 7, 2005. The cover letter of the report is dated December 5, 2005. This report was not issued by the District, but rather by the LA Diagnostic Center. 36. There was no evidence presented that the District had any control over the LA Diagnostic Center. The District did have control of the referral packet between the time the request was made and the referral was submitted. The referral packet for the LA Diagnostic Center is extensive and requires the referring agency and the parents to compile a significant amount of information. 37. There was no evidence that the time it took to submit the packet impeded Student’s right to a FAPE, significantly impeded the parents’ opportunity to participate in the decision-making process regarding providing a FAPE, or caused a deprivation of educational benefits to Student. Thus the delay did not constitute a denial of FAPE. 38. During the May 3, 2005 IEP team meeting, the team noted the need for the school psychologist to conduct a functional behavior analysis (FBA). Parents requested a FBA during an IEP meeting on July 7, 2005. That same day, an assessment plan was provided to parents that included an FBA to be conducted by a District school psychologist. The assessment plan was signed on August 29, 2005. A functional behavioral assessment was completed by Student’s teacher and reviewed by the IEP team during the IEP team meeting on October 24, 2005. This assessment was completed within the time allowed by law. 39. On May 3, 2005, Student requested an observation or assessment with a District autism specialist. The purpose of the assessment or observation was for the autism specialist to determine whether in-home services were appropriate and to suggest behavior management strategies. Student claims that the observation never occurred. District claims that an ABA assessment was conducted by an autism specialist as requested by Student. 40. On January 4, 2006, Student’s advocate sent a letter to the District indicating that Student was willing to waive the District ABA specialist assessment if the District agreed to have Dr. Lang conduct Student’s independent psychoeducational assessment. The District did hire Dr. Lang to conduct the psychoeducational assessment. 41. Additionally, in July 2006, Dr. Nora Wilson, a clinical psychologist conducted an observation of Student at Student’s home. Dr. Wilson owns Best Services, a company that provides autism services in both home and school settings. Best Services is a vendor of IRC and was contracted by IRC, not the District, to conduct an ABA assessment. Dr. Wilson recommended in-home behavioral services for Student. Student disagrees with the validity of that assessment. Student has been offered in-home behavioral services by both the District and IRC on multiple occasions. Student has rejected those offers. 42. Based on Student’s refusal of in-home behavioral services, Student’s advocate’s waiver of a District autism specialist assessment, and the ABA assessment conducted by IRC, the District’s failure to have Student assessed by a District autism specialist did not impede the child’s right to a FAPE, significantly impede the parents’ opportunity to participate in the decision-making process regarding providing a FAPE, or cause a deprivation of educational benefits to Student. 43. Student claims that the SL assessment she requested on July 7, 2005 was not completed within the timeframes set forth in the Education Code. Margaret Ticich, speech and language pathologist, conducted her speech and language assessment report on February 2, 2006. The report was signed on February 15, 2006, and was reviewed at an IEP team meeting on March 14, 2006. The District failed to complete the assessment within the required time frame. 44. Ms. Ticich concluded that Student demonstrated a significant global language disorder secondary to extreme behavior difficulties. Ms. Ticich indicated that while speech and language intervention is warranted, more extensive psychological testing is necessary to determine if an underlying mental illness, not language disability, may be contributing to Student’s extreme aggressive behavior. At the time of the assessment, Student was provided speech therapy throughout her day as part of the autism preschool classroom activities and she was receiving individual speech therapy once a week for one-half hour. Ms. Ticich did not recommend an increase in speech therapy. 45. Despite the procedural delay in performing the SL assessment, Student did not show that the delay impeded her right to a FAPE, caused a deprivation of educational benefits or impeded the parents’ right to participate in the IEP process. This is because Ms. Ticich, after her February 2006 assessment, did not recommend an increase in speech therapy services. January 2006. The OT assessment was not completed within the timeframe set forth in Education Code section 56321. 47. Student further claims that the OT assessment conducted by The District was not given in an appropriate manner and was not consistent with test procedures. Tests and assessment materials must be administered by trained personnel in conformance with the instructions provided by the producer of such tests. Specifically, Student claims that the assessor should not have considered as valid the Brunnicks Observations, Tests of Motor Proficiency, and Developmental Hand Skill Observations because the occupational therapist was unable to complete the assessments due to non-compliance of Student. 48. Gail Harriss, an occupational therapist from the District, assessed Student on January 13, 2006. According to Harriss’s report, the purpose of the assessment was to determine whether educationally relevant OT strategies are needed in order for Student to meet her curriculum goals. The assessment was reviewed at an IEP team meeting on March 14, 2006. Harriss concluded that Student’s OT needs were being met in her current placement. 49. Student was in a class specifically designated for children with autism. Since many children with autism have sensory needs, OT is incorporated throughout the school day to assist all students in self-regulation and focus. 50. Because Student was receiving OT throughout the day in her class and because the OT concluded that no additional OT was necessary, the failure to conduct the OT assessment in a timely fashion alone did not constitute a denial of FAPE. 51. Student contends that the OT assessment was flawed. Student contends that the OT did not follow assessment procedures. While it was established that Student refused to participate in some of the testing, it was not shown that the OT improperly used data from those tests in her evaluation and report concerning Student. However, the OT did fail to consider Student’s lack of progress on her goals in assessing Student. 52. In the OT assessment report, there is no reference to Student’s goals. Although the stated purpose of the assessment was to determine if strategies were needed in order for Student to meet her goals, there is no evidence that the OT ever looked at the goals. Student made no progress in the area of modulation during the 2004-2005 school year. Modulation is a sensory goal that is to be monitored by the OT. It is the only goal on which Student made no progress. The District OT did not consider this factor in her assessment. 53. The District OT assessor should have considered the lack of progress in the area of modulation in her assessment. The delay in having Student assessed in the area of occupational therapy coupled with the flawed OT assessment impeded Student’s right to a FAPE and caused a deprivation of educational benefits. Student’s IEP was amended to include direct OT services following the review of the District’s assessment. It is clear from both OT assessors that Student has significant OT needs. Despite the OT’s conclusion that Student did not need individual OT services, the IEP team offered individual OT services and Student began receiving those services. However, Student did not receive individual OT services between the time the assessment was requested in July 2005 and the time the delayed assessment was reviewed in March 2006. Thus the failure to conduct a proper OT assessment within the appropriate timeframe constituted a denial of FAPE. 54. For this denial of FAPE, Student has requested compensatory relief. When a school district fails to provide a FAPE to a student with a disability, the student is entitled to relief that is “appropriate” in light of the purposes of the IDEA. Compensatory education is a form of equitable relief which may be granted for the denial of appropriate special education services to help overcome lost educational opportunity. 55. Following the IEP meeting discussing the District’s OT assessment, Student and the District agreed to have Student evaluated by an independent OT. On July 26, 2006, Minaz Chauthani, a certified occupational therapist, assessed Student. Student’s scores indicated that Student was not processing information appropriately to allow for adjustment to her environment. Student is unable to modulate how she perceives environmental stimuli. Additionally, Student has poor registration of sensory behaviors and poor organization of behaviors. 56. Dr. Chauthani recommended that Student receive 60 minutes of occupational therapy twice a week, in a clinical setting. The IEP team reviewed this recommendation and rejected the suggestion that the OT be conducted in a clinical setting, offering instead to provide the services in the classroom setting. 57. Student has proven that compensatory education is an equitable remedy in this case. To compensate for Student’s loss of educational opportunity due to the District’s failure to conduct an appropriate OT assessment and failure to provide OT services, Student is entitled to receive 60 minutes of OT per week, in a clinical setting for a period of six months. 58. Student claims that the District failed to conduct an auditory processing assessment that was requested by Student. At the IEP team meeting held on January 3, 2006, Student requested an auditory processing assessment. On March 1, 2006, Student’s grandmother consented to the assessment. On March 6, 2006, the District received the signed consent form and on March 7, 2006, the District signed the referral for audiological assessment. 59. An assessment was scheduled, but Student was unable to attend the scheduled appointment. It was thereafter learned that Student could not be assessed until she was seven years old. Student turned seven on October 4, 2006, after the due process hearing request had been filed in this matter. No audiological assessment of Student has been conducted to date. 60. There was no evidence presented regarding whether further auditory processing assessment was necessary given that Student’s auditory processing was tested by Ms. Brazelton. The Brazelton auditory processing assessment was agreed to by the District based on the request of Student’s advocate. 61. There was no harm for any failure to conduct the auditory processing assessment prior to the time Student turned seven because the Student could not have been assessed prior to that time. After Student turned seven, this hearing request had already been filed and this decision does not address events occurring after the filing of Student’s due process hearing request. 62. Student contends that the District failed to make a timely referral to RCMH. Student contends that the District was on notice that a referral to RCMH was necessary based on the report from LA Diagnostic Center which was discussed at a November 2, 2005 IEP team meeting. 63. On January 3, 2006, an IEP team meeting was held during which the LA Diagnostic Center’s report was further discussed. Additionally, parents reported that Student had been diagnosed with pediatric Bi-polar disorder. Parents further reported an increase in self-injurious behavior. Parents requested a neuropsychological evaluation and a referral for RCMH mental health services. Student was referred to RCMH based on AB 2726 on February 27, 2006. However, the referral was incomplete and returned to the District. Thereafter, the District provided the information missing in the original referral and resubmitted the referral. 64. RCMH did not find Student eligible for services, and that determination is not being challenged. Therefore, even if it were found that the District failed to refer Student to RCMH, that failure would not have amounted to a denial of FAPE. 65. Student claims that the District failed to convene an IEP meeting to address Student’s failure to make progress on her goals and objectives. The IEP team is required revise a student’s IEP if conditions warrant revision. 66. Student’s first IEP team meeting at the District occurred on March 19, 2004. This was an interim placement meeting and an annual review meeting. This IEP was consented to by Student’s parents and grandparents. 68. The District claims that Student made progress on her goals and objectives in the 2004-2005 school year. According to Student’s teacher and according to the IEP document, Student made educational progress on all goals except for one. There was no evidence that an IEP meeting was requested by Student. The lack of progress on one goal did not necessitate an IEP team meeting and did not constitute a denial of FAPE. 69. Student claims that there was no occupational therapist, no speech pathologist and no nurse present at the May 3, 2005 IEP meeting. Each meeting to develop, review, or revise the IEP of an individual with exceptional needs shall be conducted by the IEP team. The law requires that the IEP team include the following persons: parent or student designee, special education teacher, representative of the local education agency, individuals who have knowledge or special expertise regarding the student, and, when appropriate, the individual with exceptional needs. Additionally, if the student is, or may be, participating in the regular education environment, the IEP team shall include at least one regular education teacher. 70. The following members of the IEP team were present at the May 3, 2005 IEP team meeting: Fran Henderson, VIP Tots program specialist; Kim Gardner, special education teacher; Sherri Miller, District representative; Deanne Pimentel, IRC; Josh King; Student’s mother; and Student’s grandparents. 71. This IEP team meeting was held to conduct an annual review and to discuss Student’s transition to kindergarten. Present at the meeting were a parent, a special education teacher, and a representative of the local education agency. There was no occupational therapist, speech pathologist or nurse at the May 3, 2005 IEP team meeting. At the time of the meeting, Student was not receiving speech therapy or OT outside of the services provided as an integral part of the autism program. The only health related issue for which Student needed assistance from the school nurse was the dispensing of Student’s medications. The District did not deny Student a FAPE by not having the OT, speech therapist or nurse at this IEP. 72. Student claims that the District placed Student in a more restrictive setting without IEP team input or proper assessments. Specifically, Student claims that instruction was provided in a cordoned off area and that Student’s parents did not agree to this mode of delivery of services and that it amounts to a more restrictive environment than that contemplated by the IEP. Changes in educational instruction, services, or placement provided by a non-public school may only be made on the basis of revision of a student’s IEP. 73. Student’s teacher, Rachael Hatch, was Student’s teacher from the beginning of the 2005-2006 school year, through the time that Student was placed in the residential facility. 74. Ms. Hatch testified that a portion of Student’s mode of instruction changed from small group to one-to-one instruction sometime in January 2006. She did not recall the exact date on which the mode of instruction changed. 75. Ms. Hatch explained that Student’s daily routine included play time, one-on-one teaching, one-on-one direct instruction, computer play, lunch, recess, circle time and language, social skills, fine-motor, and cognitive centers. During the centers time, each student worked individually in a given area. Student’s autism class combined one-on-one instruction and small group instruction. Student’s behavior beginning in January 2006 necessitated additional one-on-one instruction, separated from the distraction of the class. Student still received small group instruction as well. No evidence was presented regarding any assessments that should have been conducted prior to modifying Student’s mode of instruction. 76. Ms. Hatch conceded that Student was receiving more individual instruction beginning in January 2006. No meeting was held to formalize that change. This change required an amendment to the IEP. 77. Despite the procedural violation, Student did not show that the failure impeded her right to a FAPE, caused a deprivation of educational benefits or impeded the parents’ right to participate in the IEP process. Student continued to receive both small-group and individual instruction throughout the day, and the nature of the autism class was such that the use of individual instruction did not amount to a placement in a more restrictive environment. 78. Student claims that the District failed to timely provide a copy of Student’s records. A parent has the right to examine all school records of their child. The District is required to provide those records within five days of the request. 79. Evidence on this issue was scant. There was no evidence that any delay impeded Student’s right to a FAPE, no evidence that any delay significantly impeded the parents’ opportunity to participate in the decision making process regarding providing a FAPE, and no evidence of a deprivation of Student’s educational benefits. Thus any delay did not constitute a denial of FAPE. 80. No evidence was presented on this issue and no denial of FAPE was established. 81. Student contends that it was improper for the IEP team to hold a meeting on November 2, 2005, without the parents present. State law requires that the IEP team meeting be scheduled at a mutually agreed-upon time and place. A meeting was held on November 2, 2005. This meeting was held specifically to review the neuropsychological evaluation conducted by LA Diagnostic Center. 82. Student’s mother and grandparents were invited to attend the meeting. Student’s grandmother informed the District that she was unavailable to attend. The meeting nonetheless went forward. Neither Student’s mother nor Student’s grandparents attended this meeting. 83. This meeting was scheduled by LA Diagnostic Center in order to explain the findings of their assessment. The meeting was held on short notice because it was at the request of LA Diagnostic Center. The assessor requested the meeting because she had traveled to Hemet from Los Angeles to conduct the assessment. The District did not schedule this meeting and it was not an IEP team meeting. The information discussed at the meeting was subsequently discussed at the January 3, 2006 IEP team meeting when Student’s grandparents were present. It is unfortunate that Student’s grandparents were unable to attend the meeting, but it does not constitute a denial of FAPE. 84. The District has an obligation to comply with the substantive requirements of the IDEA and must provide a FAPE in the least restrictive environment (LRE). If the school district’s program is designed to address Student’s unique educational needs and is reasonably calculated to provide some educational benefit, then the program is appropriate. The term “unique educational needs” is to be broadly construed and includes the student’s academic, social, emotional, communicative, physical and vocational needs. 85. The law does not require that a student be labeled with a particular disability for special education services so long as the child has a disability listed under the IDEA. If the child’s IEP is tailored to the unique needs of that particular child, then the label of the disability does not matter. 86. Student claims that the District’s offer of three and one-half hours per day at VIP Tots was not appropriate. In order to determine the appropriateness of a placement offer, the offer must be evaluated based on the information known to the District at the time the offer was made. 87. In the IEP dated March 19, 2004, the IEP team identified Student’s unique needs in the areas of communication, written expression, behavior, daily living skills, fine-and gross- motor skills and social/emotional. 88. The IEP team developed goals in the areas of expressive language, social or pragmatic language, communication, self-help, effective learning, fine-motor skills, modulation, and compliance. These goals appropriately addressed the identified unique needs. 89. The IEP team offered placement in the special day class at VIP Tots, four days a week, for three and one-half hours a day. At the time, Student was four years old and a preschool placement was entirely appropriate and constituted an offer of FAPE. 90. On July 7, 2005, parents requested an extended day for Student. The IEP team indicated that more testing would need to be conducted prior to extending Student’s school hours. The IEP team noted that one of Student’s doctors, Dr. Nelson, wrote a letter indicating that Student would benefit from additional instruction time. 91. There was no evidence presented regarding why Student needed an extended day. Student made progress on her goals in the 2004-2005 school year. As stated in Factual Findings 67 and 68, she made educational progress on most goals. Failing to offer instruction and services to meet Student’s unique needs in the 2005-2006 school year. 92. Student’s unique needs during the 2005-2006 school year were identified in the IEP dated May 3, 2005. The team identified unique needs in the areas of safety, social communication, self-help (toileting), and compliance. The list of Student’s unique needs was not complete. As stated in Factual Findings 47-54, Student has a unique sensory need that was not included. 93. The failure to address Student’s sensory needs did not affect the appropriateness of Student’s placement for the year 2005-2006. The District offered placement at VIP Tots four days a week, for three and one-half hours per day. The District offered small-group instruction with a full time one-to-one aide. The District offered speech therapy once a week for one-half hour and OT consult twice a month for fifteen minutes. The May 3, 2005 IEP offered FAPE except for OT as discussed above. 94. Student claims that RCMH failed to notify the parents that the referral from the District was incomplete. If a mental health referral is incomplete, the reasons shall be documented by the community mental health service and the community mental health service shall notify the District within one working day of the referral. The law does not require that the Student be notified. No evidence was presented indicating whether or not RCMH notified the District and parents within one day of determining that the initial referral was incomplete. 95. RCMH did inform the parents of its decision that Student was ineligible for mental health services based on its inability to conclusively identify an emotional disturbance pursuant to AB 2726. Notification was sent to the parents and the issue was discussed at the IEP team meeting on May 18, 2006. 96. Student argues in her closing brief that RCMH breached its duty of care by failing to acknowledge Student’s mental health issues and that the District is responsible to provide mental health services when the mental health agency refuses to do so. However, this issue was not presented in Student’s complaint and was not raised in Student’s pre-hearing conference statement. The issues raised with regard to RCMH were as stated above. The issues raised by Student in her closing argument will not be addressed as they are untimely. 97. The District claims that it offered Student a FAPE in its offer of September 7, 2006. Children with disabilities have the right to a FAPE that emphasizes special education and related services designed to meet their unique needs and enable them to benefit fully from instruction. A program must be designed to meet the Student’s needs and be reasonably calculated to provide the Student with some educational benefit. The appropriateness of a program is measured at the time it was offered to Student and not at some later date. Therefore the adequacy of the District’s offer must be measured as of the information known on September 7, 2006. The District filed for due process regarding its offer for the 2006-2007 school year. The District’s case was consolidated with the Student’s case on the first day of hearing. Consolidation of the hearing does not affect the burden of proof. Therefore, the District has the burden of proving that it offered FAPE for the 2006-2007 school year. 98. Student claims that the District offer is not appropriate because Student requires a residential placement in order to receive educational benefit from her program. 99. Special Education law requires that a student be educated in the least restrictive environment (LRE). A residential placement is inappropriate if the student’s educational needs can reasonably be met through any combination of nonresidential services, preventing the need for out-of-home care. Residential placement is proper only when the nature and severity of the child’s disabilities is such that education in regular classes with the use of supplementary aides and services cannot be achieved satisfactorily. 100. To determine whether residential placement is necessary, the ALJ must (a) identify Student’s unique needs, (b) identify the services that are required to address her needs and provide some educational benefit, and (c) consider whether those needs can be reasonably met through any combination of nonresidential services. 101. Student’s unique needs must be determined as of September 7, 2006. The District identified unique needs in the areas of behavior, communication, written and expressive communication, social/emotional, daily living skills, community, participation, safety, reading, and sensory integration. 102. Student has been assessed and treated by a multitude of professionals. The professionals at UCLA Neuropsychological Hospital, where Student was hospitalized from June 2, 2006, through June 21, 2006, recommended that Student needs significant intervention in the areas of communication, self-help, socialization, and motor functioning. In her discharge disposition, Dr. Elizabeth Cowart diagnosed Student with Bi-polar disorder and autism. Dr. Cowart indicated in her report that she had been informed that Student’s grandparents were awaiting a residential placement for Student in a crisis home through IRC. Dr. Cowart suggested that Student receive social skills training, therapeutic recreational activities, and a highly structured and contained school program. It was also recommended that Student receive respite care and intensive in-home behavioral intervention through the Regional Center. Dr. Cowart gave no opinion regarding whether or not a residential placement was necessary. Rather, Dr. Cowart assumed that a residential placement was forthcoming. 103. While she was an inpatient at UCLA, Student was assessed by Del Bohulano, CPS IV, with the Lanterman Regional Project. There was no evidence presented regarding what the Lanterman Regional Project is or the purpose of the evaluation. Del Bohulano indicated that Student was in need of a well-structured and secure environment where Student could receive appropriate treatment and training. Buhulano emphasized the need for consistency across environments and emphasized the need for psychiatric services from a professional who specializes in full spectrum autism. Buhalano seems to assume, as did Dr. Cowart, that a residential placement through the Regional Center was imminent. Buhulano indicated that “if a community living arrangement is unavailable to provide for Student’s needs, then a placement at a children’s crisis home is recommended.” This evidence was given little weight because there was no direct testimony regarding the parameters used for the recommendation and there was no actual recommendation of residential placement. 104. 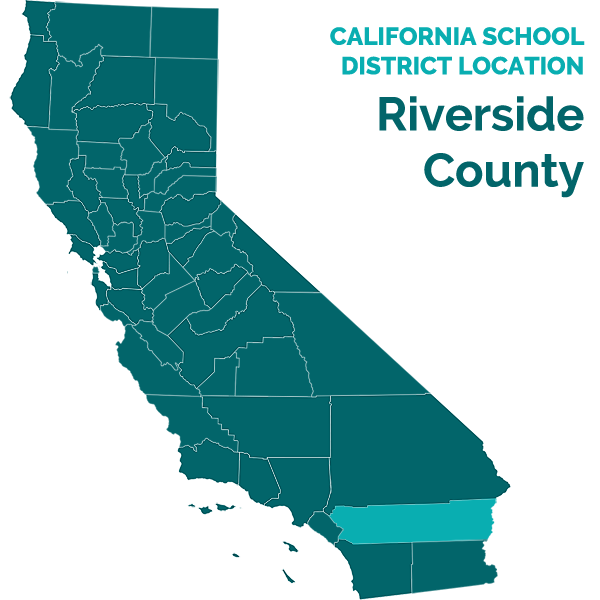 The LA Diagnostic Center recommended that Student be referred to the Riverside Department of Mental Health for an evaluation and recommended that the family utilize the services of a Behavior Intervention Case Manager. 105. Dr. Lang made it clear in her testimony that she was not making a recommendation regarding a residential placement. 106. Dr. Murdoch is the Medical Director of the children’s unit at Loma Linda Hospital. He is a physician specializing in child psychology. He treated Student between the dates of September 7, 2005, and September 14, 2005. Dr. Murdoch did not see symptoms of Bi-polar disorder. He diagnosed Student with intermittent explosive disorder. Dr. Murdoch wrote a letter at the request of Student’s grandparents recommending residential placement. Dr. Murdoch was informed prior to writing the letter that a residential placement was pending. Additionally, Dr. Murdoch did not make that recommendation based on educational criteria for residential placement. 107. Based on all the opinions rendered regarding Student, it is clear that Student requires a highly structured and secure environment. She requires constant supervision. She requires a combination of individual and small group instruction. She requires intensive behavioral intervention across environments. 108. Although Student has exhibited aggressive and violent behavior across her environments, Student’s aggressive behavior have occurred primarily outside of the school setting. Additionally, Student was able to make educational progress despite the fact that she missed 86 days of school. 109. The weight of evidence demonstrates that as of September 7, 2006, Student’s unique educational needs could be met through a combination of nonresidential services.3 All of the medical and educational professionals who have treated Student agree that Student requires a structured and secure environment. The District offered a special day class specifically designed for students with autism. 110. The class is highly structured. Student’s current teacher established that the structure is similar to the structure at VIP Tots. A picture schedule is utilized and ABA techniques are utilized. The class is small and the Student-to-teacher ratio is low. 111. The campus is secure. While there is no fence separating the classroom from the rest of the school campus, there is a fence surrounding the campus and only one entrance through which Student could elope.4 In order for Student to elope she would have to cross the campus and go through the front office. 112. One of Student’s difficulties has been generalizing her behavior at school in the home and community settings. However, Student has been offered in-home behavioral services from both the District and IRC and has declined to accept the services. Student was unimpressed by the in-home services Student received as a toddler and has been unwilling to give the services an appropriate chance. These services are intensive and provide structure and treatment in a less restrictive environment than a residential placement. 113. Student has been offered a highly structured and secure environment and services that are reasonably calculated to provide educational benefit in an environment less restrictive than a residential placement. It was not proven that Student’s educational needs can only be met through a residential placement. 114. Because Student is currently in a crisis home placement that was not developed or recommended by the District, the responsibility for Student’s education currently rests in the District where the crisis placement is located. It is unclear what placement will be appropriate when she returns to the District and a new IEP team meeting will be necessary upon her return. 7. The Ninth Circuit Court of Appeals has endorsed the “snapshot” rule, explaining that the actions of the school cannot “be judged exclusively in hindsight…an IEP must take into account what was and what was not objectively reasonable when the snapshot was taken, that is, at the time the IEP was drafted.” (Adams v. State of Oregon (9th Cir. 1999) 195 F.3d 1141, 1149, citing Fuhrman v. East Hanover Bd. of Education (3d Cir. 1993) 993 F.2d. 1031, 1041.) However, the “snapshot” rule does not eliminate a school district’s obligation to revise a student’s educational program if it becomes apparent that the student is not receiving any educational benefit. Issue No. 1: Student proved some procedural violations of the IDEA for the 2004-2005 and 2005-2006 school years and failed to prove others. 1. Based on Factual Findings 12-15 and Legal Conclusions 12-15, the District failed to timely complete the triennial assessment, but that failure did not result in a denial of FAPE. 2. Based on Factual Findings 16-29 and Legal Conclusions 12-15, the District did not fail to assess Student in the area of emotional disturbance. 3. Based on Factual Findings 30-32 and Legal Conclusions 12-15, the District did not fail to make the requested referral for a neuropsychological assessment and the assessment has been completed. 4. Based on Factual Findings 33-37 and Legal Conclusions 12-15, the District timely referred an assessment to the LA Diagnostic Center. 5. Based on Factual Finding 38 and Legal Conclusions 12-15, the District timely completed an FBA. 6. Based on Factual Findings 39-42 and Legal Conclusions 12-15, the District failed to conduct an assessment with a District autism specialist but that failure did not constitute a denial of FAPE. 7. Based on Factual Findings 43-45 and Legal Conclusions 12-15, the District did not timely conduct a speech and language assessment but that failure did not constitute a denial of FAPE. 8. Based on Factual Findings 46-57 and Legal Conclusions 12-15, and 18, the District did not timely conduct an OT assessment and the assessment was not conducted appropriately. This failure resulted in a denial of FAPE. 9. Based on Factual Findings 58-61 and Legal Conclusions 12-15, the District did not fail to timely conduct an auditory processing assessment. 10. Based on Factual Findings 62-64 and Legal Conclusions 12-15, the District did fail to timely refer Student for mental health services, but that failure did not result in a denial of FAPE. B. Based on Factual Findings 65-68 and Legal Conclusions 3, 4, 5, 9, and 11, the District did not fail to convene an IEP meeting to address Student’s lack of educational benefit. C. Based on Factual Findings 69-71 and Legal Conclusions 3, 4, 5, 9, and 10, the District failed to have the proper parties in attendance at the IEP team meeting of May 3, 2005, but that failure did not amount to a denial of FAPE. D. Based on Factual Findings 72-77 and Legal Conclusions 3, 4, 5, 9, and 10, the District did not fail to conduct proper assessments before reducing the services of Student and did not initiate a change in placement to a more restrictive setting without IEP team input. E. Based on Factual Findings 78-79 and Legal Conclusions 3, 4, 5, 9, and 11, the District failed to provide a copy of Student’s records within the appropriate timeframe but that failure did not amount to a denial of FAPE. F. Based on Factual Finding 80 and Legal Conclusions 3, 4, 5, 9, and 10, the District did not fail to respond to a request from the parent for an “increased day”. G. Based on Factual Findings 81-83 and Legal Conclusions 3, 4, 5, 9, and 11, the District conducted a meeting on November 2, 2005 without the parents present but that procedural violation did not amount to a denial of FAPE? Issue 2: The District provided Student an Appropriate Placement but failed to offer appropriate services in the 2005-2006 school year. A. Based on Factual Findings 84-93 and Legal Conclusions 3-5, 8, 16-18, the District did not fail to offer Student an appropriate placement. B. Based on Factual Findings 92-93 and Legal Conclusions 3-5, 8, 15-18, the District failed to offer instruction and services to meet Student’s unique needs. Issue 3: Based on Factual Findings 94-95 and Legal Conclusions 12-16, RCMH notified the District and parents to inform them of its decision regarding Student as of the first day of hearing in this matter. Issue 4: Based on Factual Findings 97-114 and Legal Conclusions 1, 3-6 and16-18, the District offered Student a FAPE for the 2006-2007 school year, in its September 7, 2006 IEP. 1. The District is ordered to fund 60 minutes of OT per week in a clinic setting, for a period of six months. 2. If and when Student returns to the District, an IEP team meeting shall be held to develop an IEP consistent with her present levels of performance and her current unique needs. Student prevailed on Issue 1(A)(8), and 2(B). RCMH prevailed on one Issue 3. The District prevailed on all other issues presented.